I've found that people are very passionate about brussels sprouts--either they love them or they hate them. In this home, we love them, so we eat them fairly often. Last night I wanted to try something different, so I decided to give them a Mexican twist. It could have been bad, but I'm pleased to report that they were a huge success! I think I could have made twice the amount and still not had any left over. Start by removing the chorizo from it's casing and cooking it in a nonstick skillet. It tends to be pretty greasy, so I pour off the excess oil several times while it is cooking. Cook it until you start to get some crisp pieces and it's reduced in volume by at least half. 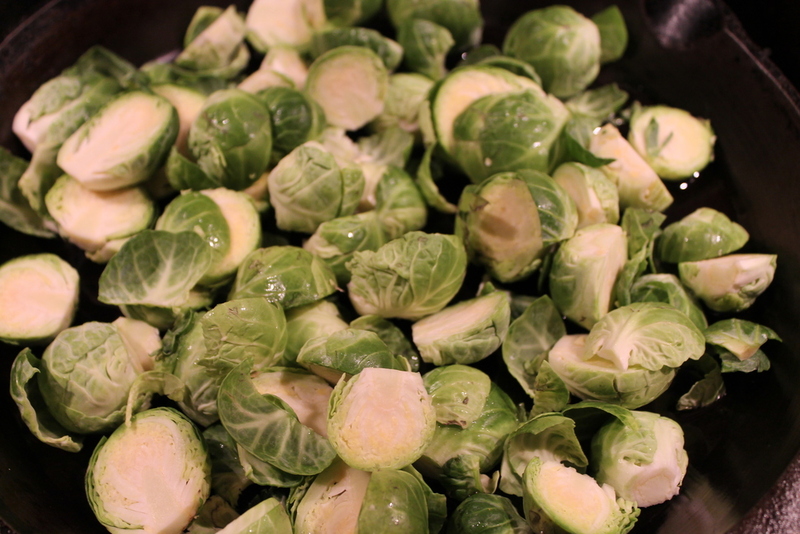 While the chorizo is cooking, trim the bottoms of the brussels sprouts and cut them in half from top to bottom. Heat a little of the oil in a skillet (I prefer cast iron for this) and add the brussels sprouts. You want to get a good caramelized crust on them. 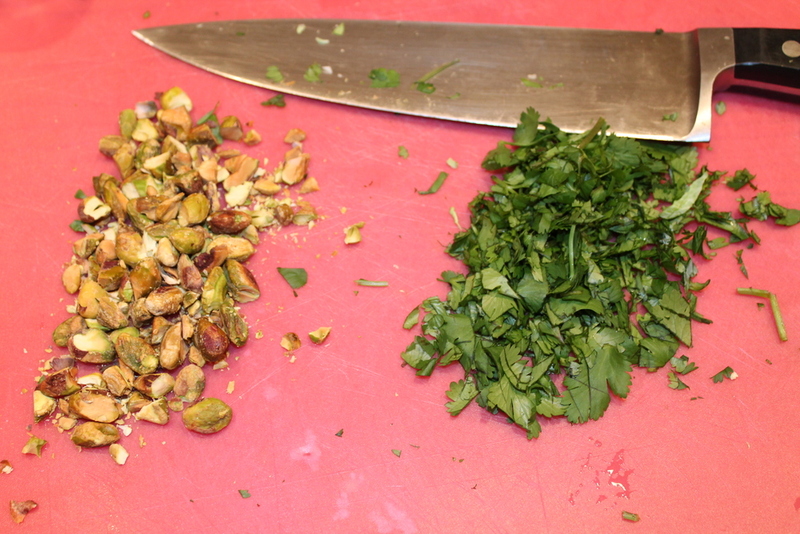 Chop the cilantro and pistachios. Once the brussels sprouts are nice and caramelized, add the chorizo, cilantro and pistachios and mix until everything is combined. Taste it before you add any salt because the chorizo is usually salty enough on it's own. Sometimes I find the brussels sprouts have a bitter aftertaste. If that happens, add about a tablespoon of maple syrup. I know that sounds weird, but the smoky sweetness is the perfect way to balance the bitterness without making it taste sweet. I realize that I haven't included any measurements in this recipe, but it's all a matter of what you prefer. You want enough chorizo and pistachios to get some in every bite. Then just add cilantro to taste. Posted in In The Kitchen and tagged with brussels sprouts. November 7, 2012 by Lynn Adams.